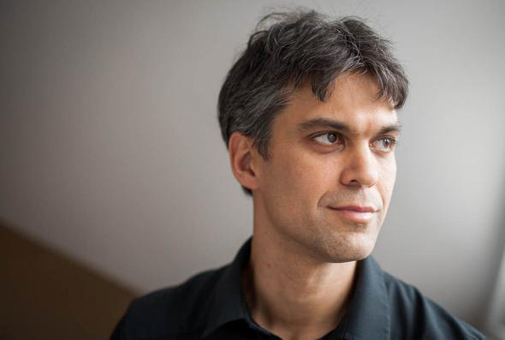 Enrico Ramirez-Ruiz, Professor of astronomy and astrophysics at the University of California, Santa Cruz, USA, will be a Niels Bohr Professor at Dark Cosmology Centre at the Niels Bohr Institute, University of Copenhagen. The Niels Bohr Professorships are awarded by the Danish National Research Foundation. The aim is to attract top international researchers to Danish universities. It is only the second time that the Danish National Research Foundation has awarded Niels Bohr Professorships – the first time was in 2012. Before that the foundation had Niels Bohr Guest Professorships, which were awarded once in 2006. This year the foundation has awarded seven Niels Bohr Professorships. Professor and head of the Dark Cosmology Centre at the Niels Bohr Institute, Jens Hjorth applied for Enrico Ramirez-Ruiz to be appointed as a Niels Bohr Professor. “Enrico Ramirez-Ruiz is really an internationally renowned top scientist and his research fits in perfectly with our research at the Dark Cosmology Centre. He primarily researches violent phenomena in the universe such as exploding supernovae, bursts of gamma radiation, coalescing black holes giving rise to gravitational waves and other phenomena that change over time. He is a theorist and studies the phenomena using computer simulations, while a large part of our work is based on observations using both space telescopes and large, ground-based telescopes. Both methods are necessary – observations and theoretical calculations to clarify what is happening,” explains Jens Hjorth. Jens Hjorth explains that a major new international telescope project, the Large Synoptic Survey Telescope, LSST, which is under construction in Chile, could revolutionise the exploration of the dynamic universe. It will map out large parts of the sky every night and will be able to see even faint objects. “The LSST will take a fresh look at the variable sky and we will see a revolution in the exploration of the universe and we will make new discoveries that we have not even imagined, predicts Jens Hjorth, and is very pleased that Enrico Ramirez-Ruiz has been appointed, as he could help unravel the physical processes through theoretical calculations. Enrico Ramirez-Ruiz has roots in Mexico, but he was educated at Cambridge in England and at Princeton in the United States. Enrico Ramirez-Ruiz is currently a professor of astronomy and astrophysics at the University of California, Santa Cruz, USA, and he is also the head of Theoretical Astrophysics, Santa Cruz Institute. His appointment as a Niels Bohr professor means that he will spend half of his time in the United States and half of his time in Denmark. Jens Hjorth is looking forward to this. “In addition to his research, a large part of Enrico Ramirez-Ruiz’s work will be to help develop the talents of the best young researchers,” explains Jens Hjorth. The Niels Bohr Professorship is a five-year grant of 30 million kroner. Enrico Ramirez-Ruiz will lead a research team and the grant means that a tenure-track Assistant Professor and several Postdocs and PhD students can be hired. Furthermore, high-profiled workshops and meetings with top researchers and young talents from around the world will be held in Copenhagen. Enrico Ramirez-Ruiz is already affiliated Professor at the Dark Cosmology Centre. The appointment as a Niels Bohr Professor will take into effect in the beginning of 2017.